Published on Tuesday, September 6, 2016. This article appears in the August/September 2016 issue of American Craft Magazine. In her workshops, Crow coaches artists from all over the country on technique and artistry. Classes are intensive – and fun. The roads in Fairfield County run like straight seams through a patchwork of farmland in central Ohio, and few are straighter than the long driveway that leads to the verdant gardens, house, barns, and studio of quiltmaker Nancy Crow. It’s a lush and quiet compound, created through decades of loving labor by Crow, her husband, John, and their two sons, Matthew and Nathaniel. It’s where she makes her art and does most of her teaching. 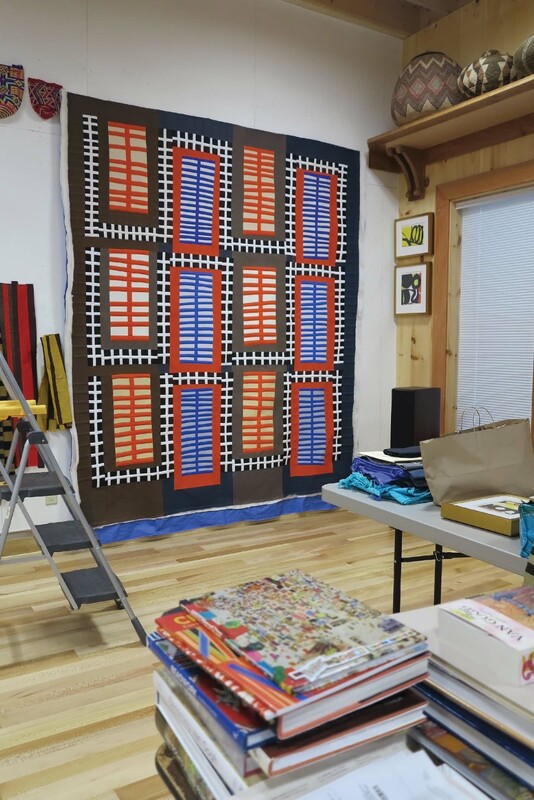 A huge timber-frame barn, one of three that the family moved to the property in the 1980s and ’90s, has become a mecca for serious art-quiltmakers. A curator as well as a teacher and artist, Crow, 72, has traveled a winding path to arrive at this moment of stature and influence. “My personality,” she explains, “is energetic and impatient.” It took years of hard work and experimentation to find a way of working that made the most of that temperament. Crow earned her BFA in ceramics from the Ohio State University in 1965, then was accepted into the school’s respected three-year MFA program and majored in ceramics. But by the second year, she found herself also drawn to textiles. A new professor, Ruth Papenthien, an outspoken weaver from Cranbrook Academy of Art, had arrived. “I craved color and fiber,” Crow recalls; weaving beckoned to her. After finishing her MFA, Crow continued to weave tapestries for six years, but she also began making quilts on the side. 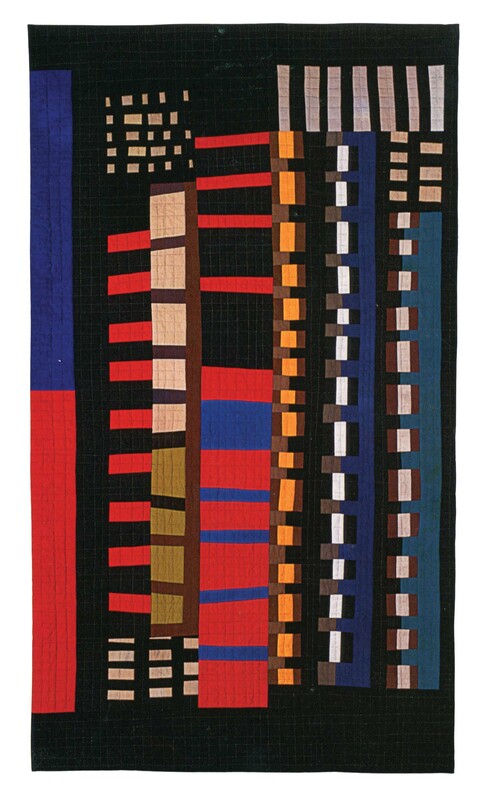 Her first quilts were based on traditional patterns using her own modest color variations. 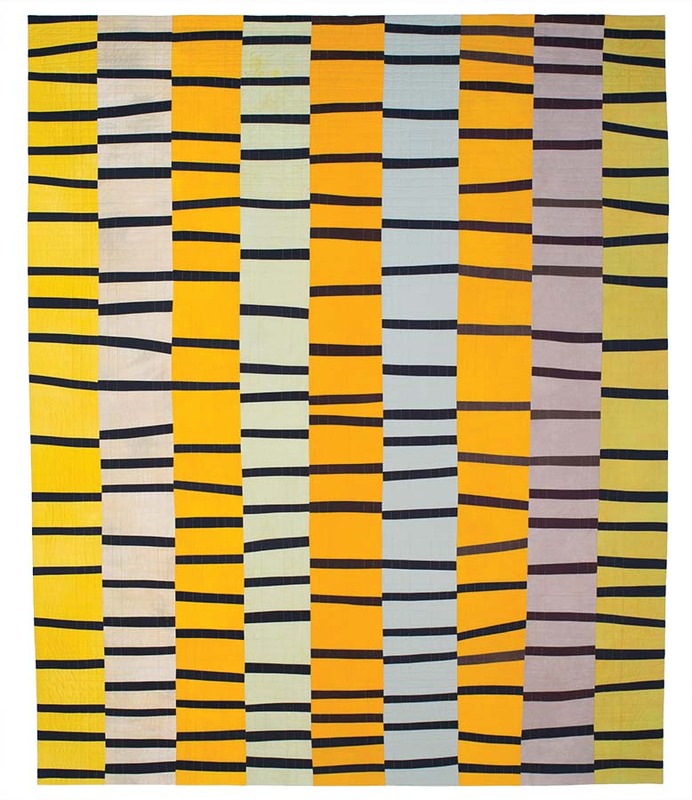 But by the mid-’70s, she began to employ bolder colors and to alter patterns to suit her own ideas. At the same time, making tapestries began to feel systematic and inflexible. 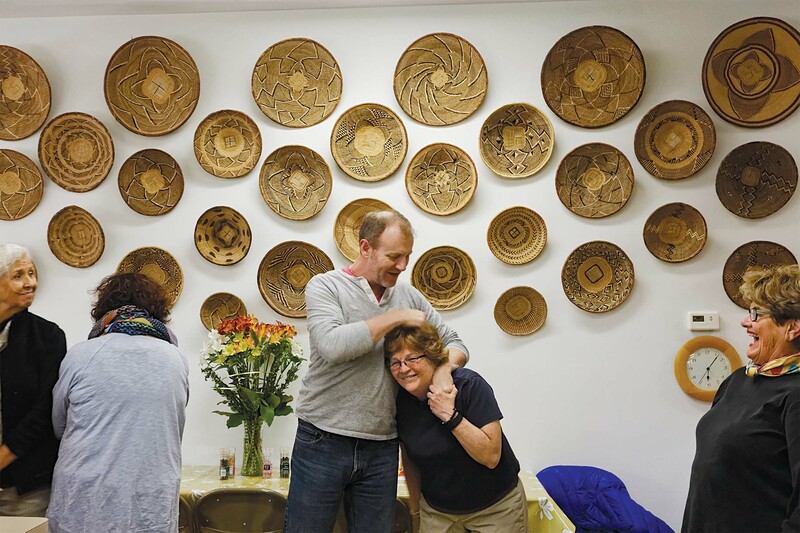 “I felt stymied because the process of tapestry weaving was so constraining,” she says. Weaving was unforgiving; it wouldn’t accommodate mistakes. Corrections meant working backward, sometimes for hours – during which “nothing was learned,” she laments. Hard-driving, Crow realized it was quiltmaking, rather than weaving, that was her sweet spot, serving her restless tendencies. A critical leap in her development came when, at John’s suggestion, she transferred her compositional process from the table to the wall. “My quiltmaking took off,” she recalls, “because finally I could see both what I was doing close-up and also from far away, across the room.” And there was no laborious reworking of mistakes. 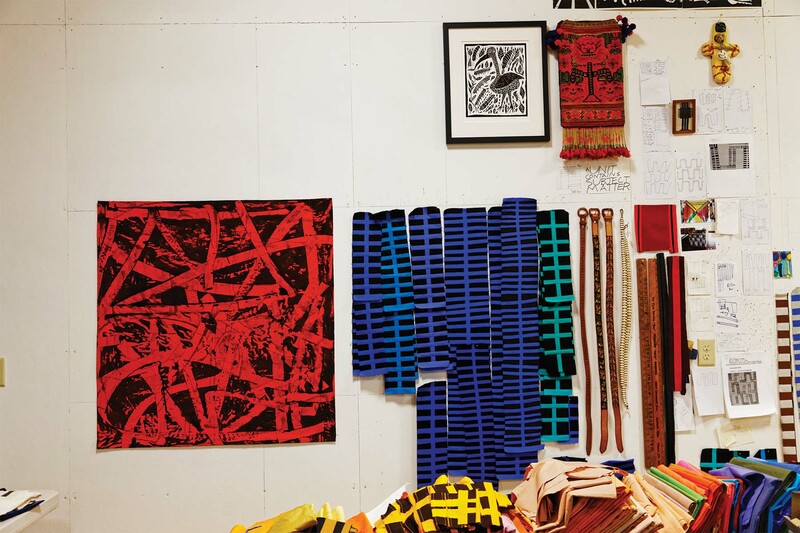 “My eye could constantly make new visual connections with the rapid pinning and unpinning of lines and shapes.” The new approach, viewing the quilt vertically and making quick adjustments, was like sketching with pins and fabric. Given the opportunity to improvise and fine-tune, she was struck by the potential of the quilt as art object. Crow soon became an active proponent of quilts as art. 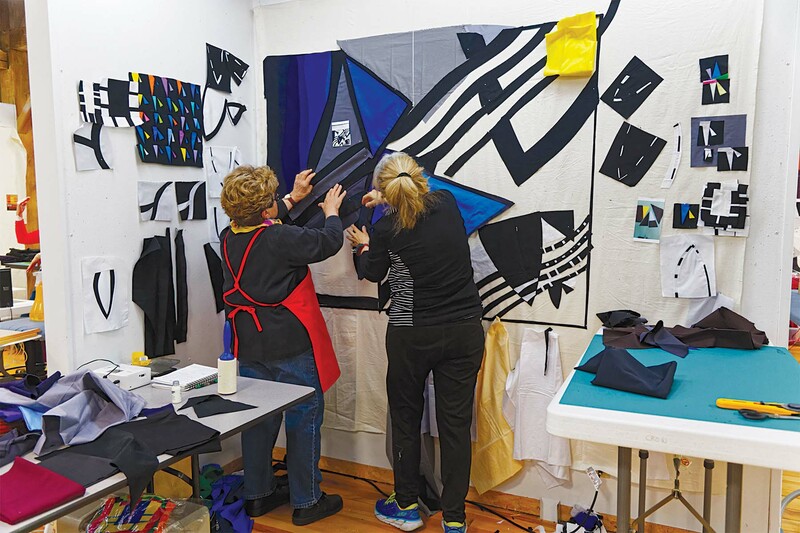 In 1979, she and a group of volunteers took on the huge task of converting a large dairy barn in Athens, Ohio, into a gallery and launched the biennial exhibition known as Quilt National. Today it continues as a prestigious showcase for the work of nation- al and international artists. 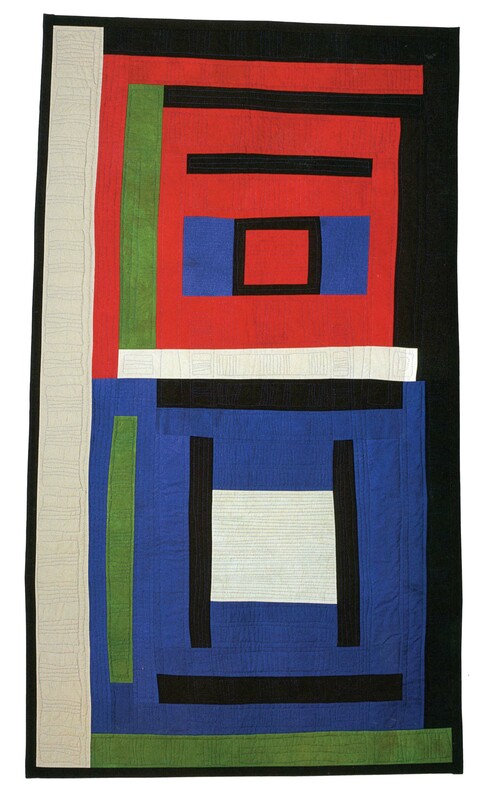 From the mid-’70s through the ’80s, Crow exhibited widely, drawing acclaim for quilts that announced their connection to tradition while projecting a bold and original sensibility. Her deep study of historical examples, awareness of contemporary art, and formidable skill enabled her to forge a visual language distinctly her own, linking the past with the current zeitgeist. Crow enjoyed years of productivity, energized by her exploration of color and design. Then, in 1990, she experienced a crisis in her work. She made only one quilt that year. “Frustrated and unhappy, I was ready to quit and change my medium,” she says. She’d spent years using templates to create grid-based designs that, for all their impact, were constrained by linear symmetry. She yearned for a process that allowed for more spontaneity and freedom. “Slowly, it dawned on me that, rather than change direction, I needed to find a way to work more freely as a quiltmaker,” she says. 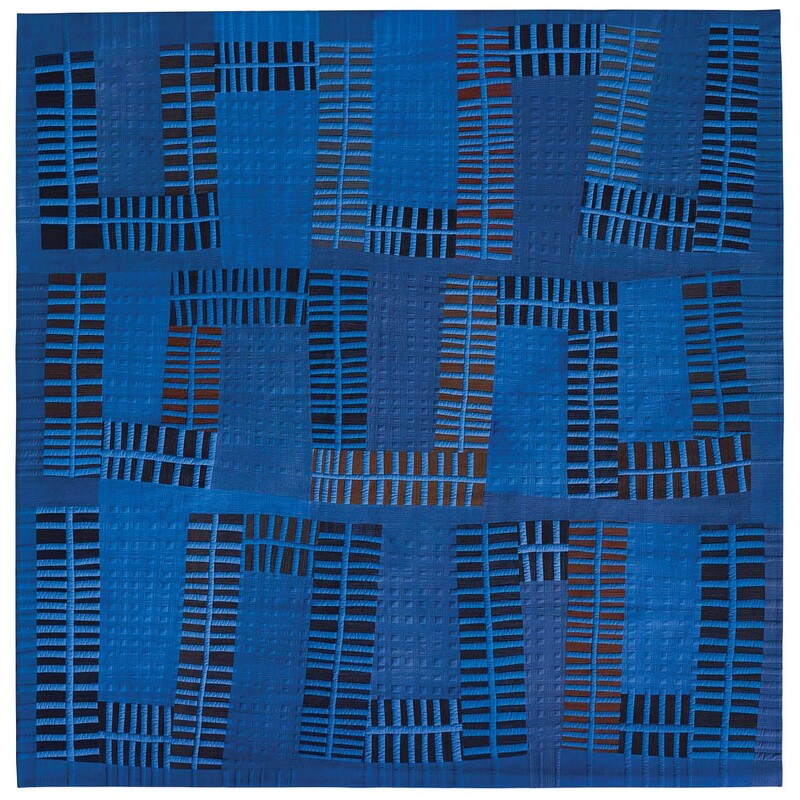 She looked at the work of some African American quilters who had a history of working informally, cutting and sewing spontaneously without using templates. Captivated by their example, Crow began to see a way out of her creative quagmire. She was particularly drawn to the example of Anna Williams, whom she invited to participate as guest artist at the Quilt Surface Design Symposium in 1990. Exhilarated by the assurance with which Williams improvised her designs, Crow undertook a project of reinvention, not only altering her process but also examining her most fundamental assumptions as an artist. It took Crow almost two years to master freehand cutting and piecing, without benefit of template or ruler; eventually the hard work paid off. She emerged from that period of self-examination a more flexible, more original, and ultimately more influential artist. Much of what is considered Crow’s signature work today traces its gestation to the early ’90s. After a while, though, Crow became frustrated with venues that were hastily thrown together and lacked the kind of workstations and well-lit walls she believed serious classes required. She began to feel an “ever-stronger conviction that contemporary quiltmaking must be taught in an art environment.” She dreamed of building her own classroom. 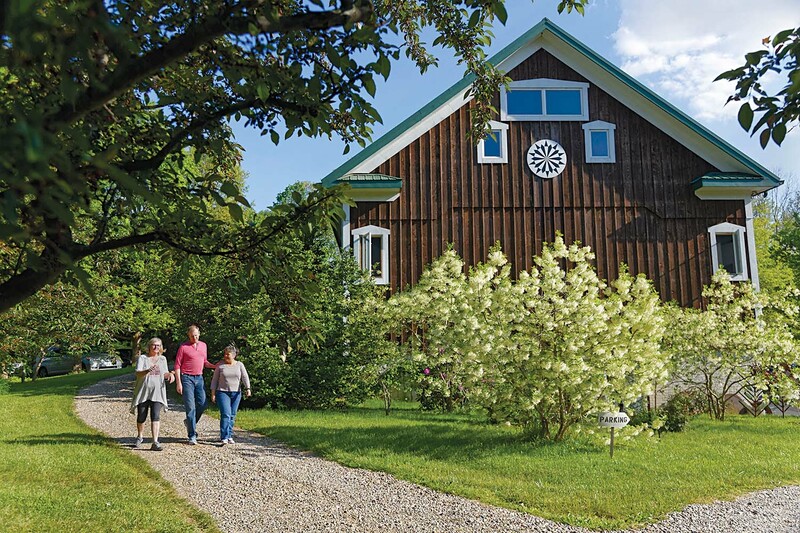 In 1997, a neighbor offered Crow a huge 19th-century barn that her husband and two sons were able to move, renovate, and transform into a first-rate teaching facility. Since 2001, she has offered a series of classes in composition with machine piecing, as well as design, construction, and color. Auxiliary courses in dyeing, surface design, and other topics, taught by others, round out Crow’s workshops. Crow is as dedicated to her students as she is to her art. Florida quilt artist Eleanor McCain, who has taken several workshops with Crow, describes her as a powerful, generous influence. “I have had great teachers, but no one who has expected so much and given so much. She hides nothing.” Crow’s candor and integrity are legendary. As a teacher, she doesn’t mince words. In 2010, Crow curated an exhibition of quilts in Stuttgart, Germany. “Color Improvisations” featured 50 large works, including those of her most accomplished students. With her characteristic zeal, she is curating another four shows this year: “Material Pulses: 8 Viewpoints” at the Riffe Gallery in Columbus, Ohio; “Mastery: Sustaining Momentum” at the Dairy Barn in Athens, Ohio; “Circular Abstraction: Bull’s Eye Quilts” at the Muskegon Museum of Art in Michigan; and “Color Improvisations 2” at the Tuch + Technik Textilmuseum in Neumünster, Germany. 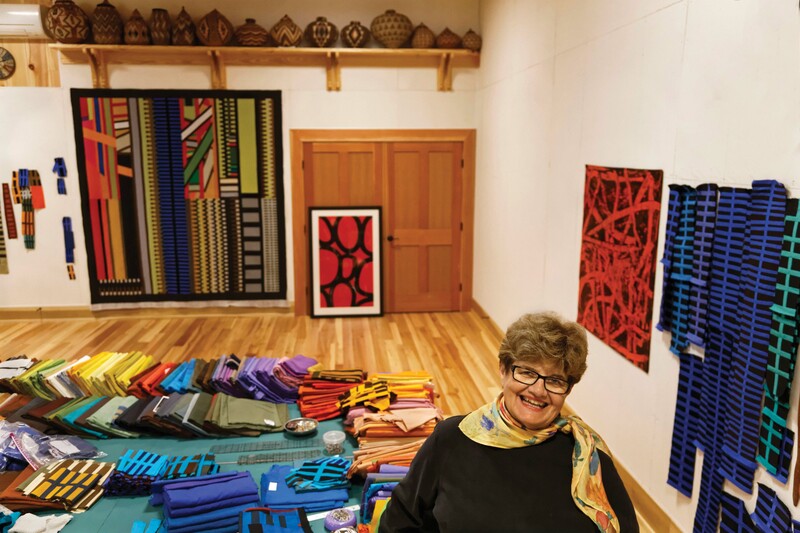 Nancy Crow’s fascination with quilts began in the 1970s; 45 years and roughly 300 quilts later, she is, if anything, more engaged than ever in making, teaching, and thinking about color and design. David Hornung is an artist, author, and professor at Adelphi University in Garden City, New York. Crow in one of her workshops. Crow made Constructions #17 in 1998 from cotton fabrics that she hand-dyed and machine-pieced. Marla Hattabaugh finished the works, hand-quilting using Crow’s pattern. Crow made Constructions #15 in 1998 from cotton fabrics that she hand-dyed and machine-pieced. Marla Hattabaugh finished the works, hand-quilting using Crow’s pattern. 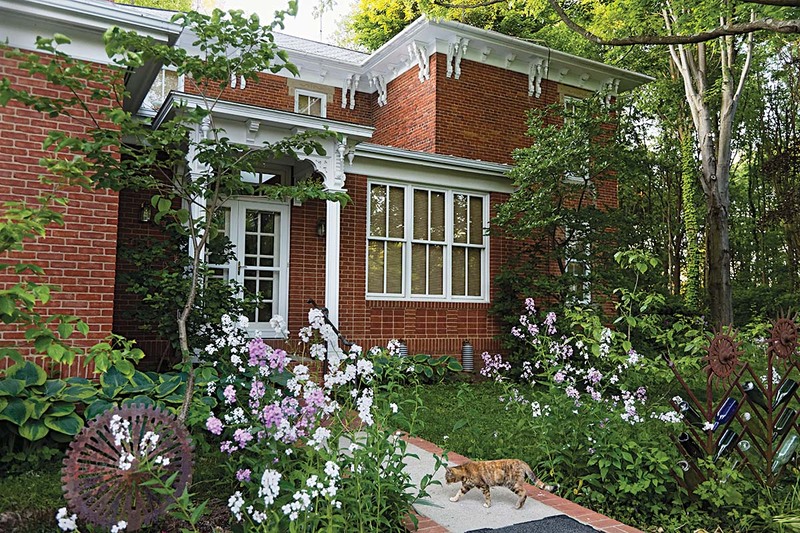 Crow's 1850 brick home reflects central Ohio’s architectural history; the bricks were made and fired on-site. Crow’s 1840 timber-frame barn, used for teaching. 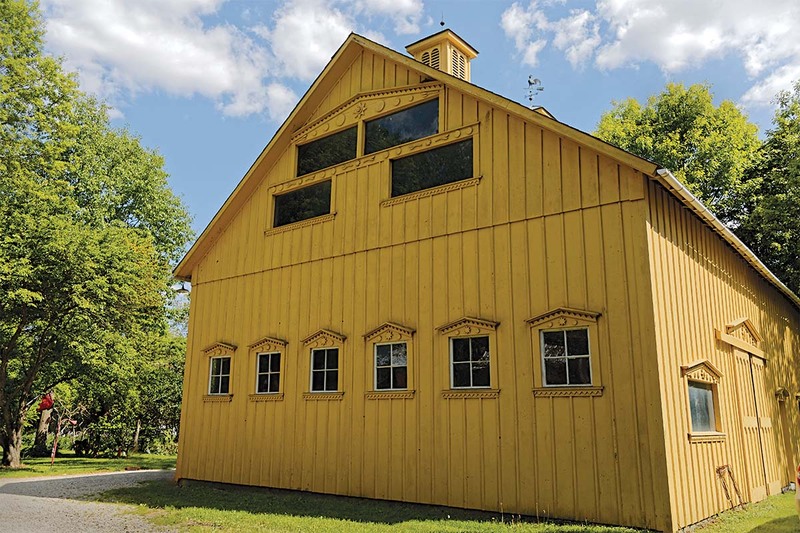 Crow’s husband and sons used the yellow outbuilding as a “practice barn” before moving and restoring the quiltmaker’s teaching studio. Crow’s studio features another cotton monoprint, beside strip-piecing intended for her new Riff series. Over-Connected & Frazzled: Seeking Solitude #2 (2015) is an example& of Crow’s recent work, monoprinted on cotton. 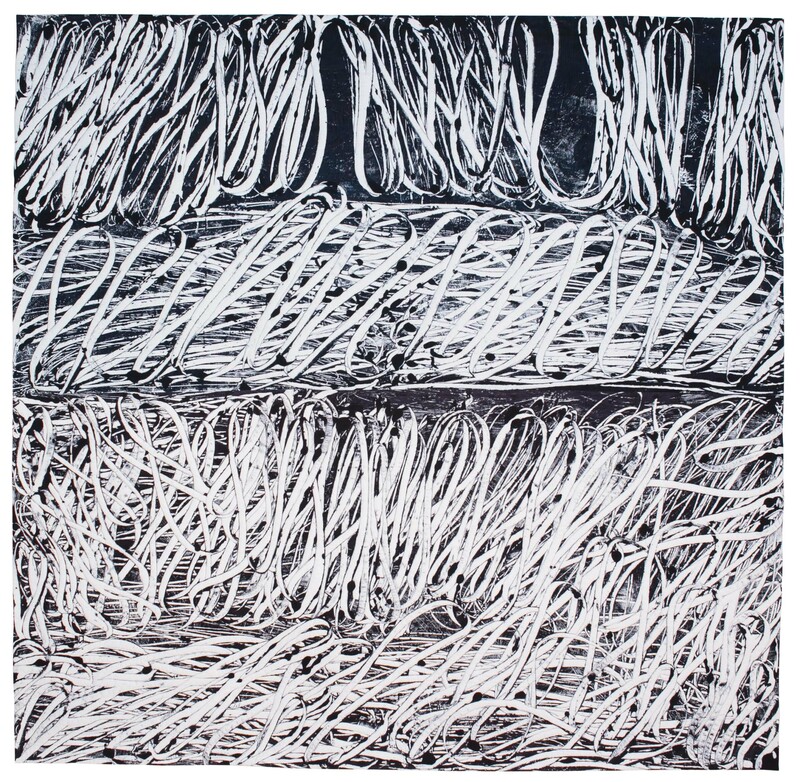 Over-Connected but Finding a Little Space: Seeking Solitude #3 (2015) is an example of Crow’s recent work, monoprinted on cotton. For Constructions #62 (2002) Crow improvisationally machine-pieced freehand-cut and handdyed cotton pieces. 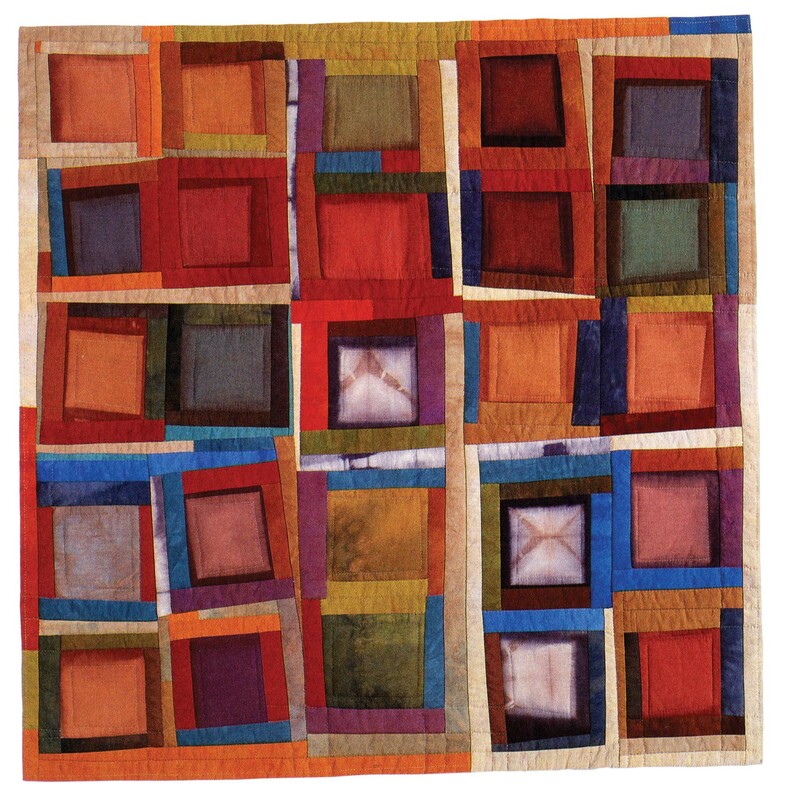 Constructions #76 (2004) was cut and machine-pieced by the artist, then hand-quilted by Marla Hattabaugh following Crow’s pattern. Sometimes Crow collaborates. 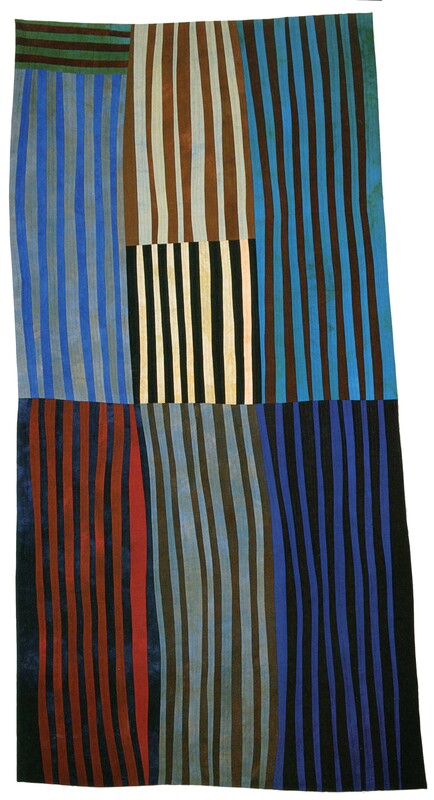 She and Eric Morti hand-dyed some of the cotton fabrics in Color Blocks #15 (1991), while others were resist-dyed by Lunn Fabrics. This quilt was cut and machine-pieced by the artist, then hand-quilted by Marla Hattabaugh following Crow’s pattern. 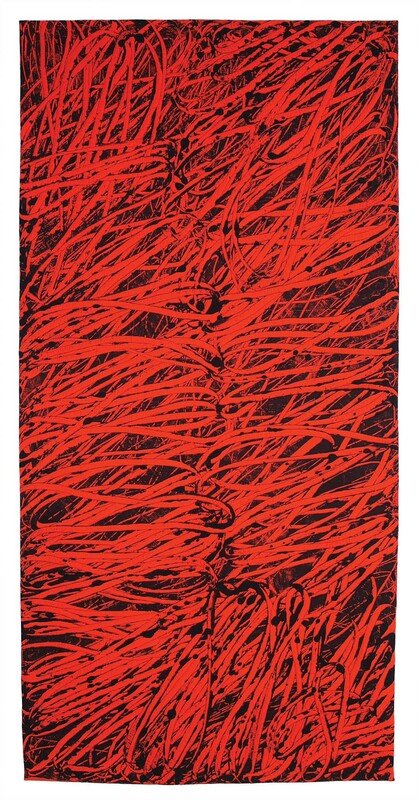 Riff #7: Detour (2016) hangs in the Ohio artist’s studio. Assessing quilts in progress on a wall rather than on a table has allowed Crow to make stronger compositional choices. After she changed her approach, “my quiltmaking took off,” she says. Crow began her career as a weaver. 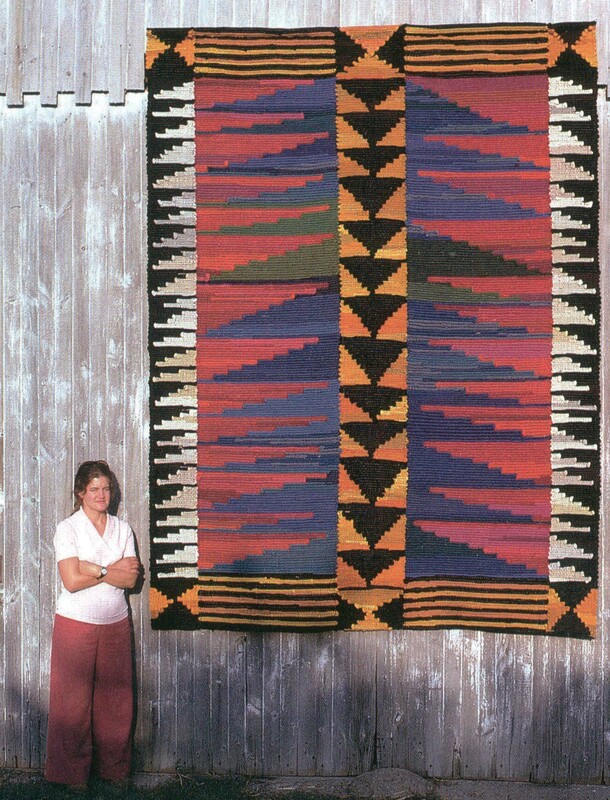 Her 12-by- 9-foot rag rug (1974) shows the boldness and scale she would eventually apply to quilts. 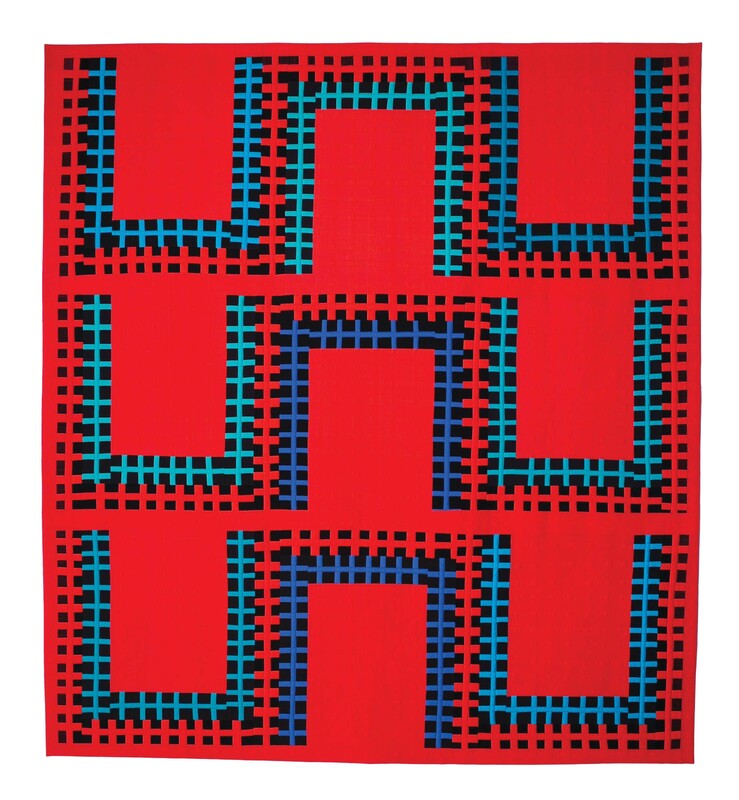 Frustrated by the constraints of weaving, she turned to quiltmaking in the mid-’70s. Once a meticulous planner, Nancy Crow was inspired by quiltmakers in the African American tradition to work more spontaneously. Riff #8: Detour (2016) was machine-pieced improvisationally. Once a meticulous planner, Nancy Crow was inspired by quiltmakers in the African American tradition to work more spontaneously. Riff #4: Calm (2015) was machine-pieced improvisationally. Nancy Crow has had her struggles and false starts, but the dynamic quiltmaker has ended up right where she’s supposed to be.